Your video will get 150 Embeds and this will be proven with a report containing every single link. 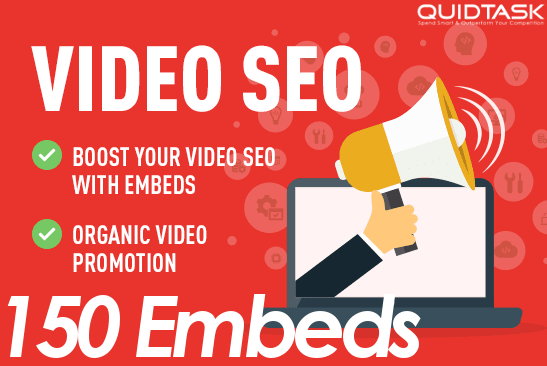 150 Video Embeds Organic Promotion that will bring organic views and likes - Video SEO and Ranking is ranked 5 out of 5. Based on 372 user reviews.